Kimberley Cleland and I have Mothers that are best friends. I still know Marilyn’s landline off by heart, from the days before cellphones and trying to locate my red-headed gas-bagging with a quiet gin & tonic Mama. Yes, these were the days before bottled wine in Aotearoa. The days of the cranberry-coloured Yalumba cask, which incidentally maintains its popularity among tramping (trekking if you’re not a kiwi reading this blog) circles. I remember Dad graduating – from Steinlager classic (in the white cans) to Mac’s Gold in their chubby amber bottles. Those quaint days with VCRs for the wealthy, dishwashers given by grandparents trying to save a marriage, and the invention of the tape player not to mention the walkman and house-doors that didn’t lock. The days of four kids sliding joyfully seat-belt less along the leather back seat of the Waldegrave’s mercedes, singing unaccompanied to some un-book-a-bached bach on Lake Rotoiti, with the Coppertone oil number 2 or was it 4, brought to terracotta legs, packed close by. Kimberley and I have both moved home and now live in the same suburb, the one I’d call looking for my red-headed Mama. I find myself finding myself in the Kimberley Cleland. She has her finger on the pulse. Her pulse is gently strong, artistic, generous and concentrated on our planet. 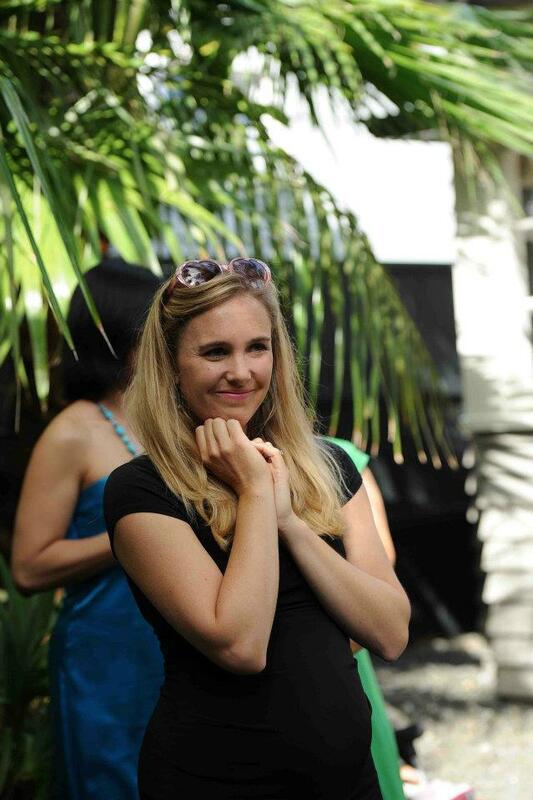 She has great great ideas, a quiet but seemingly unstoppable energy, all duveted in a kind and giving heart. ‘Twas Kimberely who told me about the Greerton Geurilla Knitters, and ’twas Kimberley who told me about KINFOLK. Yes, I just shouted that. What a discovery. I feel like a bit of me dances in those sparkles you see on the sea in the light when I visit anything Kinfolk. I’ll admit perhaps it’s just a little too perfectly beautiful for me. Something too much of a fantasy, void of struggle or politics or suffering. But, perhaps this is a helpful place for me and others to dwell (occasionally?). In beauty. Simplicity. In people. 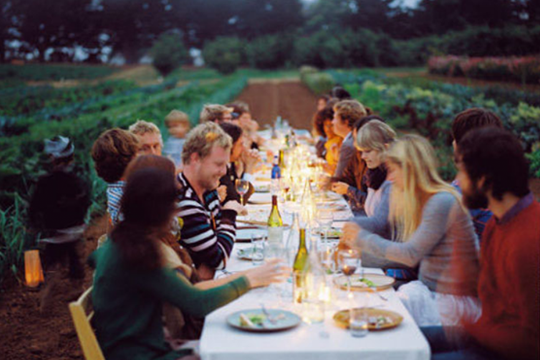 Togetherness. In grace. Calm. In gratitude. Celebration. 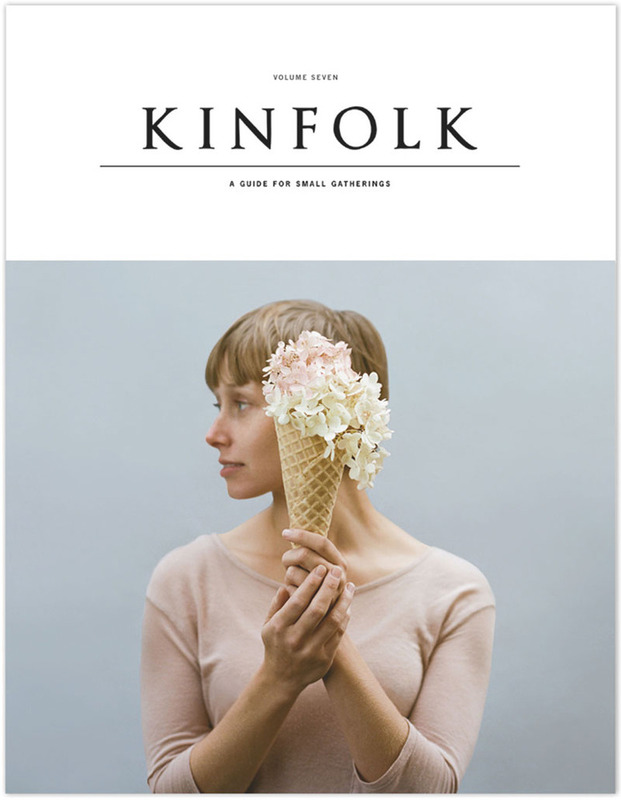 I’ll also admit I’m yet to get my hands on the Kinfolk magazine available from Auckland’s Department Store. But I have watched some of their utopic film and this utopic film. But. Now. Fire the canons. Sound the trumpets.Greta Kenyon and Shaye Woolford are putting on a Kinfolk Event to share with us how to freshen up our homes Kinfolk style at Sue Harrison’s to die for Willowdene, in Bethlehem, Tauranga, New Zealand. Spongedrop are doing the cake and the yum and I am very excite. Yes, excite. And guess who’s coming too? Are you?